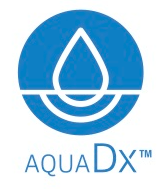 Our Single Use Sensors represent an early release of an AquaDx product line that does not require a digital analyzer and is more affordable ($24.95 for 2 Single Use Sensors) for consumers so they can start testing their water quality today. 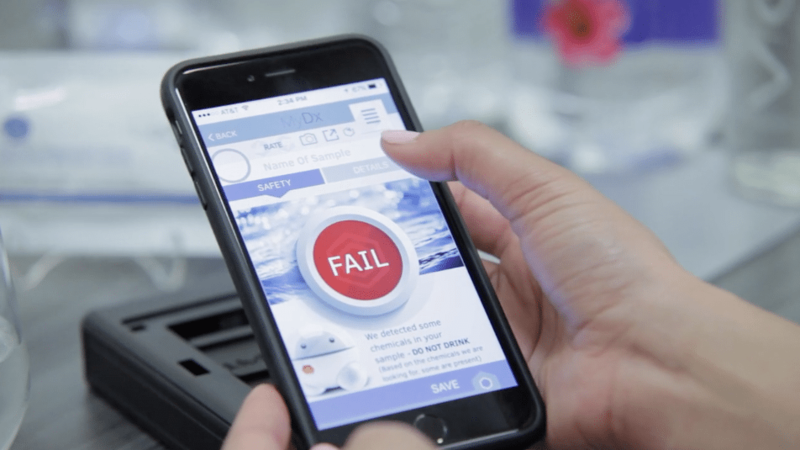 In 3 simple steps, you will be able to know if your water test Passed or Failed. 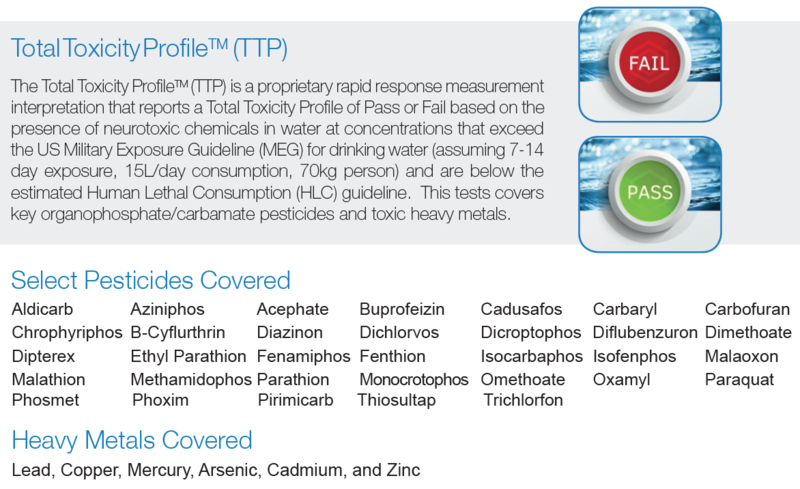 If it FAILED, there is a high probability your drinking water sample contains sufficient toxic chemicals that would exceed the US Military Exposure Guideline for Safety of drinking water, as defined by the Total Toxicity Profile below. 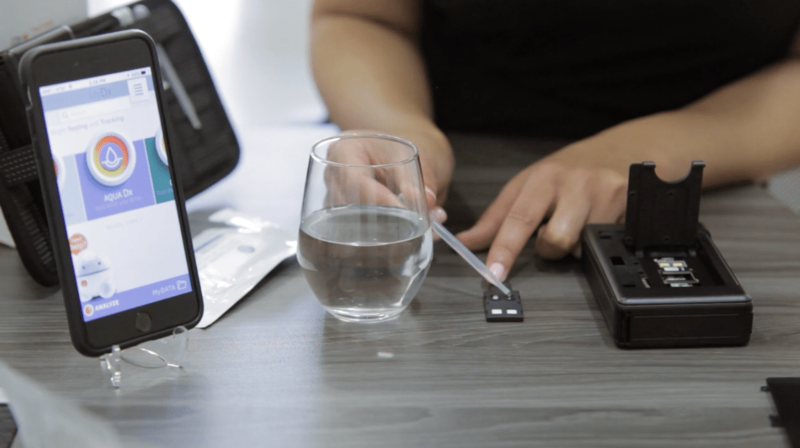 The AquaDx hand held water quality tester is for anyone who has ever been concerned about the quality of their well water or drinking water, and wants to get their water tested. 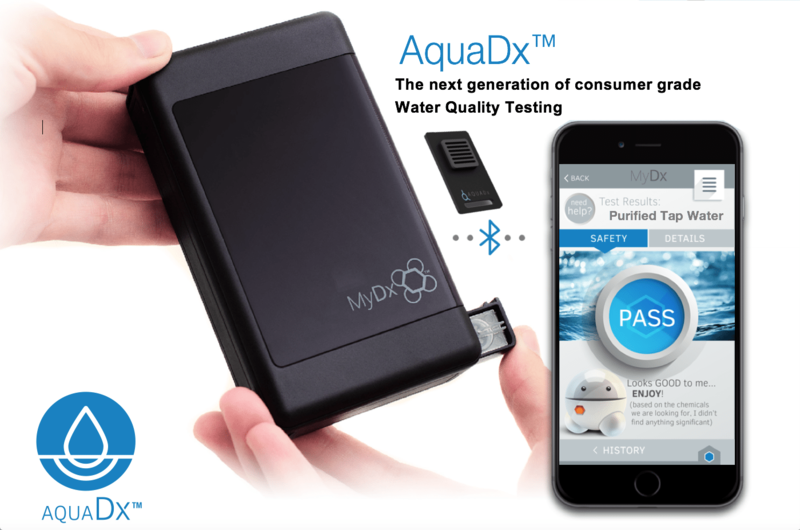 AquaDx will test for a broader range of chemicals in water than most water testing kits and works with water testing labs and technology developers to make sure you have access to water testing services to check for the safety of your drinking water. The MyDx analyzer offers a portable chemical tester that gives you the freedom to test drinking water anywhere, anytime. AquaDx will show you how to test for lead in water, including other harmful heavy metals, and lets you know if there are harmful pesticides in your drinking water. 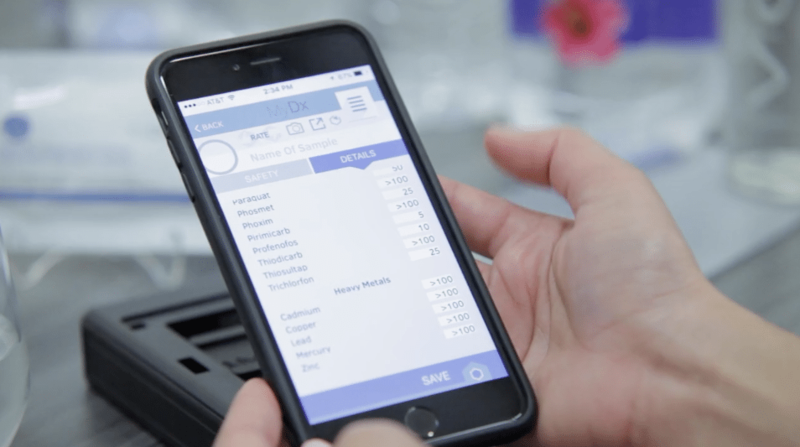 Protect your family and connect to our free APP to map your water quality testing, and use the information as your personal lead water test kit, or just to show you the safest places in town to have safe drinking water.